Ordering Tip: The eighth character in the VIN will be a 1. 100% Individually tested on a NEO (State of the Art test stand utilizing Patented Dieselogic fiber optics) to ensure OEM specifications are met. Factory OEM equivalent specification 100% Guaranteed at the time of testing. 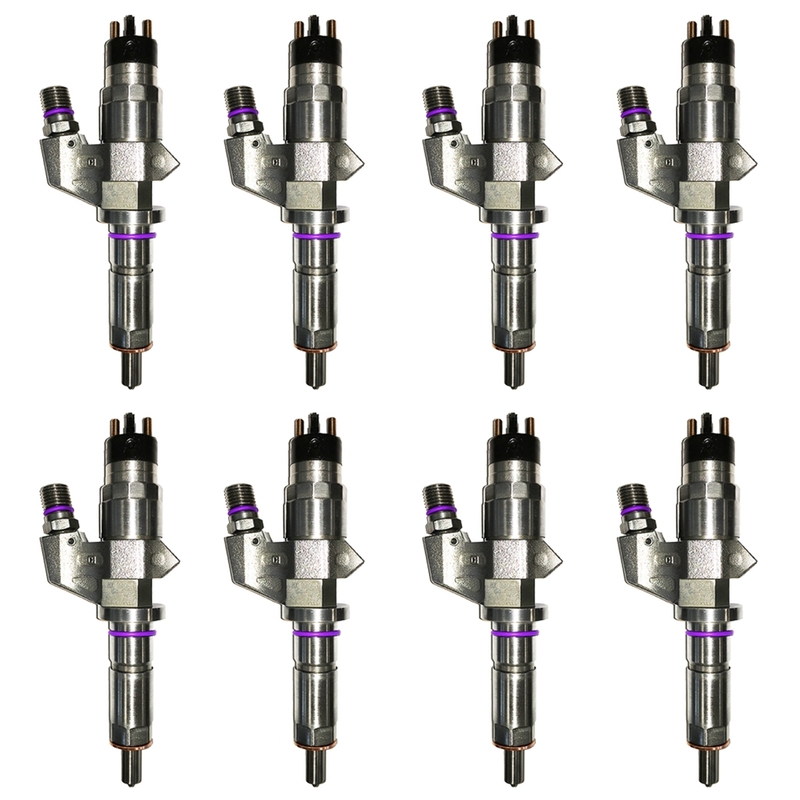 ~Remanufactured: Selecting this option gives you a remanufactured diesel injector set that use only OEM Bosch cores. They have the latest revisions and up-to-date OEM specifications required by Bosch to replace the original generation legacy LB7 injector. They are manufactured again to the original equipment manufacturer (OEM) performance specifications and come with a warranty that is the same or better than that of a newly manufactured product. During the remanufacturing process, 100% of the injector's parts are examined and tested. 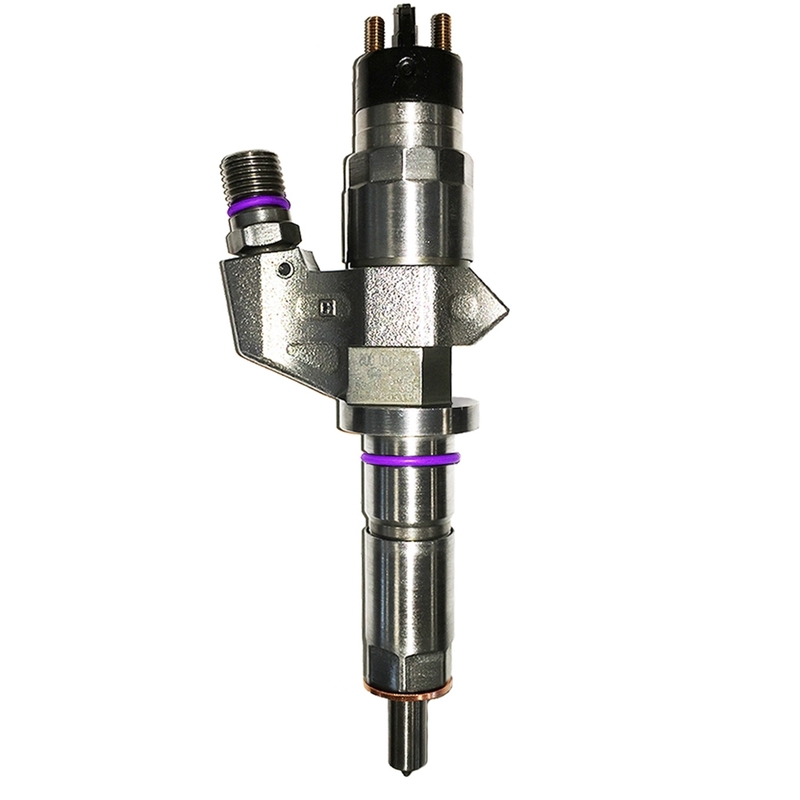 A properly “remanufactured” injector is ‘manufactured again’ to be the functional equivalent of a new part and is virtually indistinguishable from new part performance. Remanufactured is not refurbished nor used. Remanufacturing takes products through a restorative process, using highly refined industrial procedures in a factory setting to promote greater resource productivity, and aims to reduce waste and avoid pollution. It is the only form of reuse, re-purpose, repair, or recycle that produces warranted products that meet or exceed quality and performance expectations. Every injector is completely disassembled, cleaned and 100% of all parts/components examined for wear and breakage. Worn out, missing or non-functioning components are replaced with new or manufactured again components. After full disassembly is complete, the part is reassembled and tested for compliance with OEM Bosch performance specifications with our patented Dieselogic NEO. *Includes nozzles to withstand the heavy demands of the modern-day diesel engine. All nozzles include AFM (Abrasive Flow Machining) to fillet/round the edges of the spray hole inlets. EDM (Electro Discharge Machine) precision-drilled spray holes and 100% flow tested for spray plume uniformity and flow balance. *All control valves include the new chrome plated ball, and precision micro-finished seat to prevent erosion and extend wear resistance. *Updated injector body “stress test” with maximum heat and pressure through all gun drilled holes to qualify durability, fretting erosion and prevent internal cracking. NEO – resolves complex “shot to shot” measurements operating under multiple injections with our Dieselogic patented fiber-optic technology. The NEO provides validity testing of Common Rail Injection internal calibration emission tolerances and stimulates the aftermarket economy while lowering emissions for a greener environment. For more info on the NEO click here. ~New Factory Bosch: Selecting this option gives you a set of new OEM genuine Bosch injectors assembled at the Bosch factory. We strongly recommend replacing the injection lines, return line seals and valve cover gaskets.